60 Minutes' report on the NSA: an awful lot like MTV Cribs. 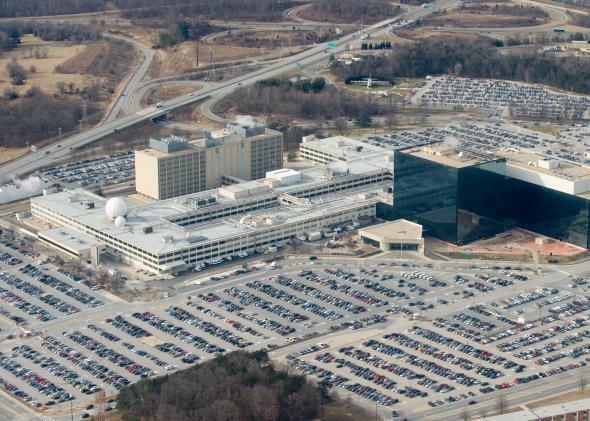 If you caught 60 Minutes’ “inside look” at the National Security Agency on Sunday night, you might’ve felt a sense of déjà vu. Just a couple of weeks ago, the show did a puff piece about another secretive organization, Amazon, which amounted to an hour-long infomercial topped off by surprise delivery drones that won’t be anything but viral marketing fodder any time soon. It makes one wonder whether the premise of the program, once a staple of journalism, now has more in common with something like MTV Cribs, wherein TV cameras get “unprecedented access” in exchange for massaging celebrity ego. We’re guided by CBS correspondent John Miller, himself a former employee of the office of the director of National Intelligence, as he schmoozes in various cyber-bunkers within the NSA’s Fort Meade, Md., headquarters. We start in the office of NSA Director Gen. Keith Alexander, who is allowed to rehash his usual weasel-worded speech about the NSA’s dragnet surveillance programs. “The fact is we’re not collecting everybody’s email, we’re not collecting everybody’s phone things, we’re not listening to that,” the general says, using Miller’s softball to ignore that none of the disclosures have actually alleged any of those things. Indeed, Alexander asserts, the agency focuses on foreign nationals and is only actively targeting “50 or 60” individuals described as “U.S. persons.” But that is also misleading, as documents have shown the NSA regularly (albeit “inadvertently”) collects communications involving Americans and can hand that information over to other agencies, including the CIA and FBI. In fact, declassified court documents obtained by the Electronic Frontier Foundation show that the NSA repeatedly ignored rulings from the secret FISA court that restricted its use of Americans’ information. Alexander also responded to a report from the Washington Post showing that the agency tapped Google and Yahoo’s internal data center links, saying “We’re not going into a facility or targeting Google as an entity or Yahoo as an entity.” But again, no one has alleged they are “going into a facility”—the report, from late October, shows the NSA wiretapped the links between the facilities. Google’s irate engineers have since responded by encrypting those links, and both Yahoo and Microsoft have announced they plan to do the same by next year. The program provided lots of talking points, but little in the way of new information, instead hinging squarely on the fact that we’re being allowed to see this stuff or talk to these analysts at all. With Amazon, we were taken on a journey through humming “fulfillment centers,” waiting to meet our every desire. With NSA, we’re meant to see their swanky, blue-lighted briefing room and conclude that the agency is misunderstood and villainized, even as it continues to be caught in lies and half-truths. After all, they’re letting us into their awesome information command center—we wouldn’t want to be rude and ask the wrong questions! But hey—what’s in the NSA’s fridge?